Organizers of the California Nut Festival have made the decision to cancel the annual fundraising event in 2019 to allow time for the North Valley community to focus all energies on recovering and rebuilding after the devastating Camp Fire. 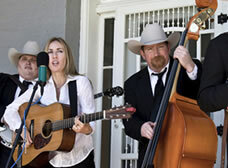 To date, proceeds from the festival have raised $185,000 for the Patrick Ranch Museum to help preserve and interpret the agricultural history of the Sacramento Valley. The agriculture-focused culinary event will resume in 2020 and, moving forward, will be led by a dedicated group of Patrick Ranch Museum (PRM) members. In 2019, the organizers of the California Nut Festival will be focused on raising needed funds for 4-H and FFA students affected by the Camp Fire. Proceeds raised will be used to rebuild pens and to purchase equipment, breeding stock and feed to provide students with the means to bring animals to the Silver Dollar and Butte County Fairs in the coming years. The monies raised will be put into an account with the Butte Agriculture Foundation. For those who wish to donate to the fund, checks should be made out and mailed to the Farmers’ Circle Livestock Fund at P.O. Box 7642 Chico, CA 95927. What is the California Nut Festival? Each year, this crowd-pleasing festival showcases plentiful gourmet food offerings, always-popular wine and beer sampling, nut-inspired cooking demonstrations, live musical entertainment on two outdoor stages, a wonderful art show featuring talented local artists and much more. The event is presented by the Butte Agriculture Foundation and sponsored by Tri Counties Bank and Meriam Park - A Development For Food Innovation, C.F. Koehnen & Sons, PG&E, California Olive Ranch, RUSH Personnel Services, Farmers' Circle members and involved media partners. 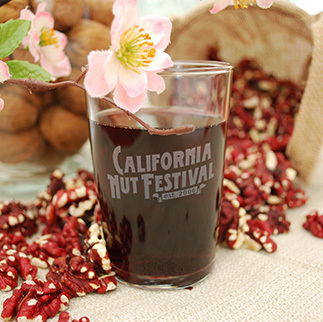 The California Nut Festival began as a series of events including a blossom tour, spelling bee, book club and chef demonstrations that took place over the course of a two week period, but lacked a single event that brought consumers and local farms together in a meaningful way. With a focus on locally grown and produced foods and beverages from the North Valley, the 2018 California Nut Festival is scheduled for Saturday, April 21, from 11 a.m. to 4 p.m. 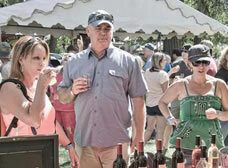 The popular culinary event takes place outdoors on the historic grounds of the Patrick Ranch Museum in Chico, California. Come with an appetite to sample a variety of nut-inspired nibbles! Visit with nearly 50 participating local vendors! 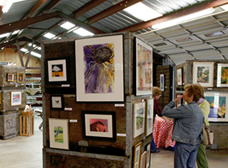 Featuring local artists and artisans in our special art barn. Talented local bands perform on two outdoor stages! The California Nut Festival is a program of the Butte Agriculture Foundation, a 501(c)(3) non-profit organization.